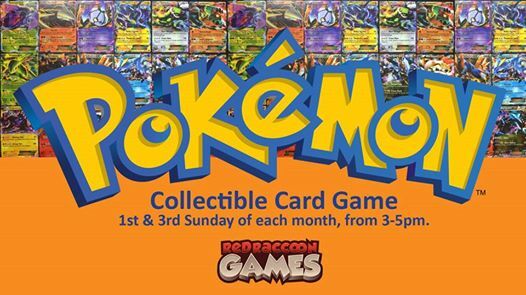 Join us on the 1st and 3rd Sundays of each month for Pokemon Open Play! Bring your decks and play with other kids or adults in an open, family-friendly environment! Play enough games to win exclusive holo promo cards for your decks!